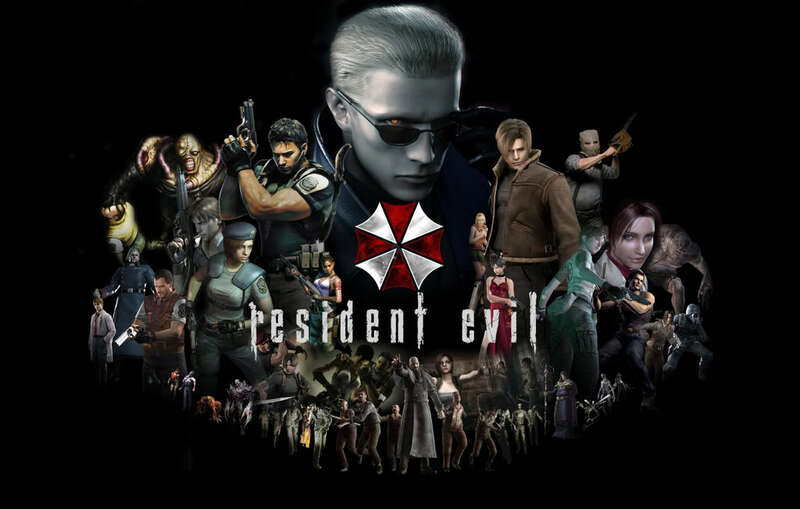 Long before Resident Evil 5 allowed players to team up online and fight the waves of undead, two lesser known, but equally celebrated games tried online Resident Evil first, six years before the fact. On the PlayStation 2 no less. The premise was unique too. 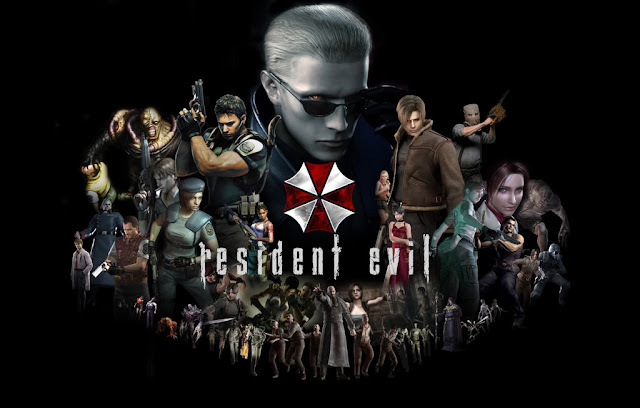 Instead of being an overpowered, heavily armed, combat trained character, players were instead cast into the role of one of eight everyday ordinary citizens as they try to escape the nightmare engulfing their home town of Raccoon City. The concept of melee weapons was introduced alongside the usual fare, and these titles were also the first implementation of the real time inventory screen, just like Resident Evil 5. But despite the completely different format and premise, the segmented scenarios nestle right into the main timeline, and a couple even expand upon events seen in the main series. Familiar and new faces alike appear, and new enemies not seen before prowl the streets and local public venues. The games begin as the eight playable characters are working and celebrating at J's Bar. There's Cindy Lennox the friendly waitress brining drinks to everybody. Kevin Ryman, who failed entry to the city's S.T.A.R.S. task force tries to drink his troubles away, while down the bar, Mark Wilkins tries to forget his Vietnam flashbacks so he can be a better security officer. Meanwhile, Yoko Suzuki, the mysteriously silent Japanese girl, pecks away furiously on her laptop. Alyssa Ashcroft, the hard nosed reporter, hopes she'll get the next big scoop. Nearby, George Hamilton, the surgeon, is trying to drink away his divorce. David King, the silent plumber, wants to talk to no one, while Jim Chapman takes a break from operating the subway to immerse himself in another puzzle magazine. Unknown to all of them however, is the events that started Resident Evil 2 and 3 are happing right below them, and it isn't long before all hell breaks loose. Another interesting aspect of this series, was the fact that all players started with a "Virus gauge". This chronicles their slow infection, unless attacked by an enemy which speeds it up. Once this reaches 100%, it's game over. Online play did not support voice chat, as developers felt it would ruin the mood. (Xbox Live is an indication of the juvenile behavior they tried to avoid). Instead, through a combination of button presses and analog stick commands, the characters could call to each other for help, items, and conversation through an ad-lib system. This system, while designed to simulate casual conversation about the mess their in, also provides clues if you're stuck. One of the interesting aspects of the online play in these titles, is that the monsters aren't the only ones to worry about. Players are cast into groups of four, and have complete freedom to ditch their partners, or kill them in Friendly Fire mode. Leaving a partner to die online will see them rise as a zombie that player can control, seeking revenge for being wronged. It was an interesting concept at the time. The monsters themselves run the gamut as well. From the standbys of zombies, skinless Lickers and the reptilian/humanoid Hunters, to new creatures such as giant Scissor Worm insects, and the never before seen mutation between zombie and Licker. One boss is a giant organic mass that digests others, even a Tyrant unit from Resident Evil 2, into it's form to become stronger. The final, and best aspect, was the replay-ability factor. Every one of the ten released scenarios had a massive checklist that needed to be completed, as well as hundreds of "SP Items". These items were divided into groups of forty for each scenario (twenty for the scenario and twenty for the characters), and were randomly generated in one of two sets of predefined locations. 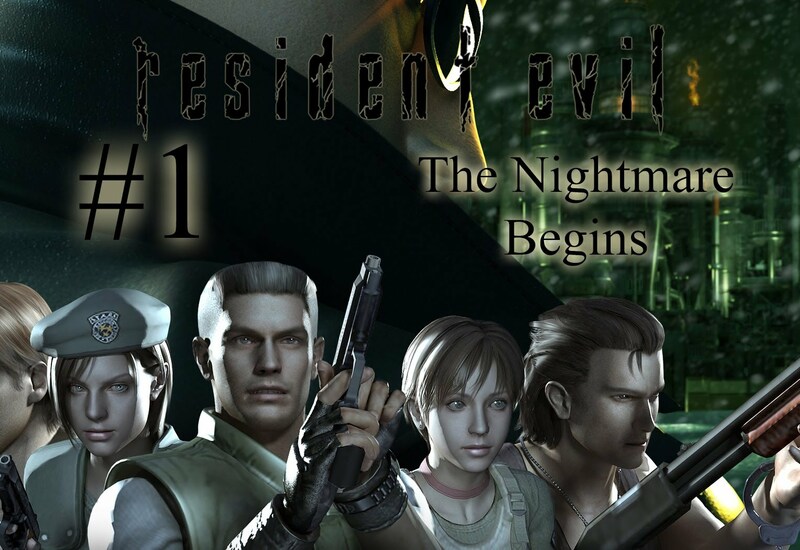 Completing the checklists required playing through the scenarios as every character more than once, as each scenario had a randomly occurring personal experience for each of the characters. Alyssa would have flashbacks in the abandoned hospital, Kevin could converse with fellow officers at the station, Jim would see a fellow employee be pulled into the ceiling of the subway's restroom, and more. Even the difficulty would change what happened in the game. An example would be the first scenario. On easy mode, Mark's friend Bob stays behind. On normal mode, Bob makes it to the roof with them and kills himself. On hard mode Bob comes back as a zombie. Completing the checklists, finding SP Items, and clearing all the difficulties would unlock Gallery items and award points to buy these items. Selections included watching in-game movies, alternate costumes, concept art, sound tests, and bios about the locations. 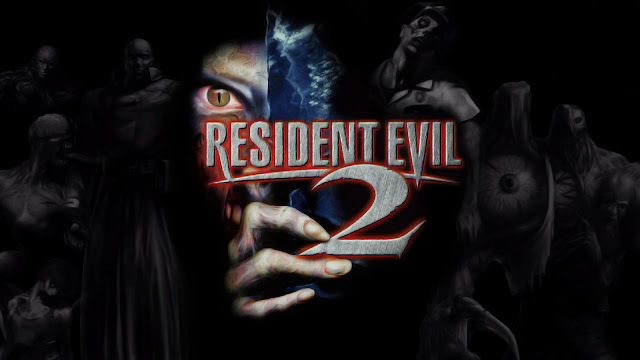 There was also the insanely hard "Nightmare" mode, the single player "Lone Wolf" mode that eliminated the other three CPUs, "Infinite" mode for infinite ammo, and "Friendly Fire" where players could actually harm their teammates. The biggest aspect was the majority of the gallery was other characters to play as. Every NPC encountered, and even some who were not due to development issues, were playable, all in varying states of health and possessing different inventories. They all followed a template of one of the eight main characters, but the second game actually gave them voices of their own during the ad-lib process. Between the two games, only ten of the original proposed twenty scenarios made it to light. Others would've included the docks, a sleepy motel, Umbrella Corporation's downtown headquarters, and possibly the local military base. Sadly, the last of the servers supporting these games were shut down in 2007. Unless avid players host their own, these can no longer be played online. These games should not be forgotten. 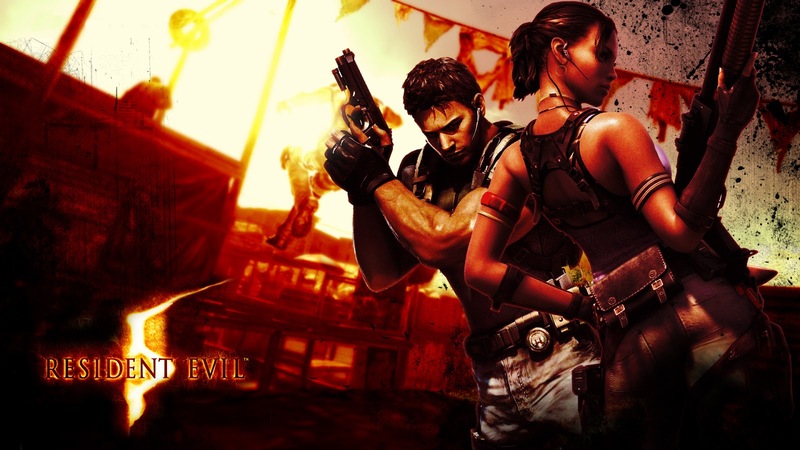 Their over ambitiousness for the PlayStation 2 laid the groundwork for most of what we see today in Resident Evil 5. The presentation mixed up the boring status quo at the time, and the wealth of random variables kept players coming back for more in an unprecedented level of replayability.